Technology has changed the way court reporting is done, and electronic medical transcription is not far behind. The global medical transcription market is expected to grow annually at a rate of more than 6 percent over the period 2018-2022, according to the latest market research report by Technavio, a leading global technology research and advisory company. A key factor driving the market’s growth is the increase in healthcare IT spending, the company reported. And specifically, they said, growth in IT spending on medical transcription will drive the market growth. The need for digital documentation and integration of data will lead to increased IT spending on healthcare. In its report, Technavio highlights the emergence of voice recognition technologies as one of the key emerging trends in the global medical transcription market. It notes how voice recognition software can automate the process of transcribing medical reports. The software converts audio files to text without human intervention. 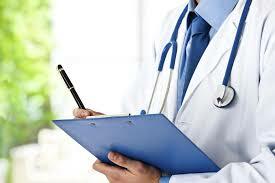 This software also reduces the efforts by physicians to record and send voice files for transcription. Despite language barriers, speed of speech, and incorrect pronunciations, the software reduces the time needed to transcribe medical reports. However, transcriptionists will be required to edit and proofread these automated transcripts. “Software automated text data is easy to incorporate in information systems and for sharing information with other healthcare professionals for further treatment. For instance, Dragon medical speech recognition software by Nuance Communications has advanced features such as increased accuracy and vocabulary with a rapid process involving end-to-end security. This software can also be integrated with almost all information systems such as EMR,” says a senior analyst at Technavio. The Americas held the highest share of the global medical transcription market in 2017, accounting for a market share of around 48 percent. The Asia Pacific area currently holds the smallest share of the market and is expected to see the biggest increase in its market share over the forecast period.